If you’re searching for a home for a small family or as a single individual, condos present many amenities you may find difficult to find if purchasing a standalone home or renting an apartment, and Myutahhomesforsale.com can help you find the condo in Utah that will fit your needs. Most condos offer security, swimming pools, club houses, etc. providing more convenience to their owners. They cost less in upkeep than an individual house yet afford the buyer the option to own their own space rather than renting an apartment. By choosing to live in a condominium you are choosing an immediate community environment. You have instant neighbors. Each owner accepts the regulations and rules set by the condominium board before they buy into the property, and each pays a portion of the maintenance fees and operating costs. Condo fees pay for upkeep of the property such as roofing and plumbing as well as common amenity areas like the pool. Often, some of the utilities are also covered. The yearly payment made for these fees is inexpensive compared to the costs associated with owning a single family dwelling. By becoming a member of the board you will be able to be a part of the decision making process concerning your home and consequently your community atmosphere. By owning a Utah condo you are investing in a piece of property to call your own, but you are also building equity that will pay off in the future sale of your home. 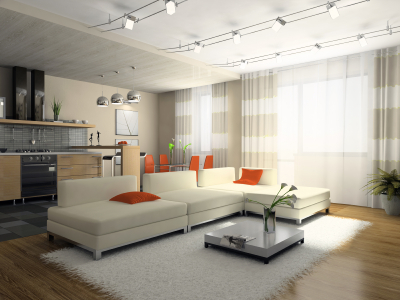 Apartment living is similar to owning a condo, but without the eventual payoff. Homeownership expenses are more consistent since you will probably have a mortgage whereas rental fees or more likely to fluctuate. Every month you make a payment to your mortgage company the equity increases and you own a little more of your home. This is yet another reason why purchasing your home is more beneficial than renting an apartment. Most condos are located in areas of larger cities where everything you could need would be nearby. Public transportation may be provided near the area eliminating the rush hour driving you might otherwise incur while getting to and from work. Thriving hot spots, cultural opportunities, restaurants, schools, and more can all be found in the metropolises where condos are built. The convenience can be unparalleled. When searching for a condo ensure you find the greatest home for you by visiting the best resource for homes in Utah, myutahhomesforsale.com. A detailed home search is made available for consumers to determine the property you would be interested in purchasing. There are many real estate agents specializing in condo sales, and this website, my utah homes for sale, will help you find the right place and agent you are looking for.